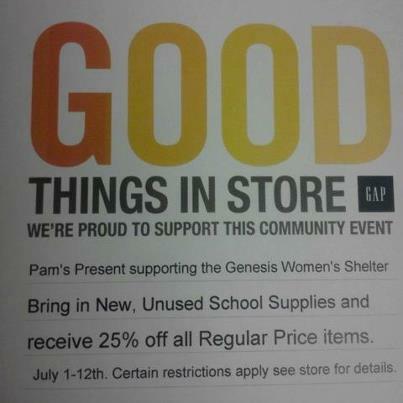 Help the Genesis Women’s Shelter when you stop by the GAP at North East Mall and donate any New, Unused School Supplies. As a gift you will receive 25% off all Regular Price items. Sounds like a win, win to me! Previous postNRH20- Savings Coupon~ Print Now!